LIZ EARLE is a name well known and popular among people who love quality products and don’t compromise going for other low cost products that may be harmful to the skin or whose results are not known. Recently after making their name in the skincare products industry,they are starting their new venture and launching their make up range as well. The first product from their make up range has been launched a few weeks back & it is called the Sheer Skin Tint.It is now available for purchase from today. For many years our customers have been asking us to create a make up range that gives the same great results as our skincare. Our exciting next step is everything you would want and need from make up: it really performs, works in harmony with and delivers the same dependable results as Liz Earle Naturally Active Skincare and looks natural, enhancing rather than masking your skin. Introducing Sheer Skin Tint, the natural bridge from skincare through to colour. It’s rich and creamy like a foundation, yet so lightweight it glides effortlessly onto the skin, blending easily to enhance natural skin tones. The perfect way to enhance your skin.Our rich & creamy,yet light weight formula leaves all skin types looking naturally dewy,even and radiant.With mineral UV SPF15,its enriched with our own blend of natural source Vitamin E,borage and avocado,specially selected to work in harmony with our skincare range. Bare 01:The palest shade, this suits fair, alabaster complexions. 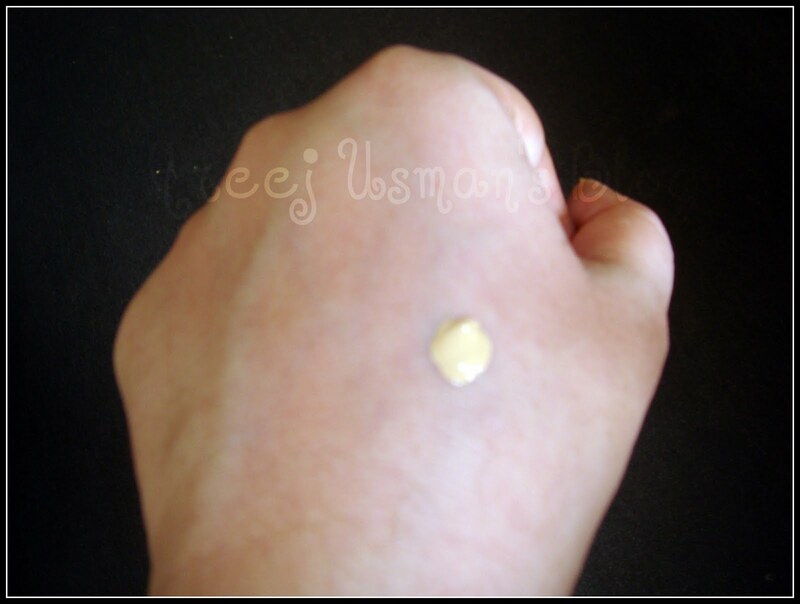 Beige 02:The medium shade,this suits the majority of Caucasian skin. Beach 03: The darkest shade, this works well for suntanned, olive-toned and most Asian skin tones. 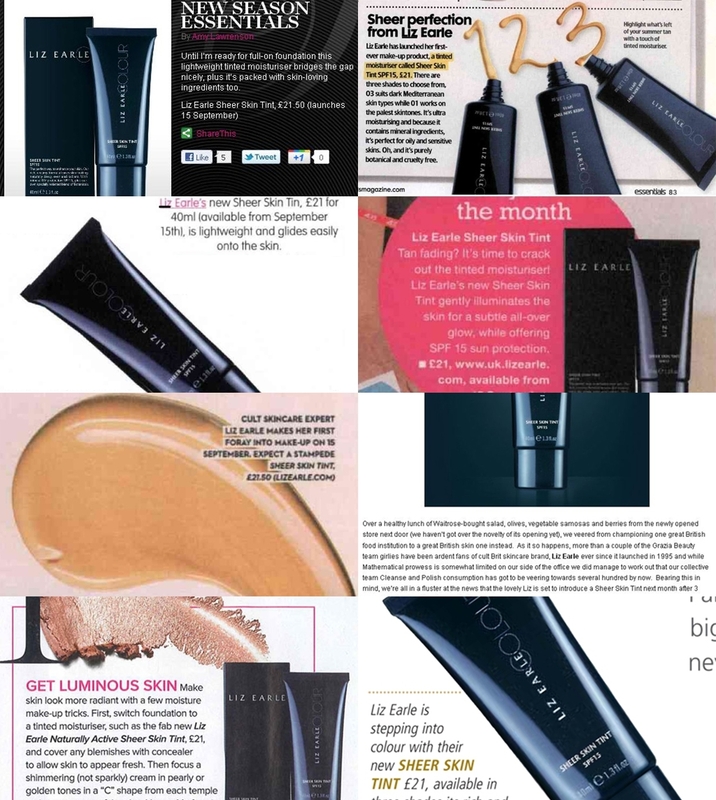 These days all the British media is raving about this new baby from Liz Earle.Lets have a look at what they are saying.I have put together this one big shot of different sources to add to the glam! Isnt this awesome.One little tube and so much raving.Well this tube is the SHEER SKIN TINT by Liz Earle.I will now move to share my experience with you. First of all I really like the packaging.Its an expensive looking tube,offcourse the tube doesnt come for cheap but still I am in love with the smooth tube. Another best thing about the packaging was the sealed nosal of the tube.First of all,I thought I would open it and find some product on the nosal.But infact it was perfectly sealed like this. When I was asked which shade I wanted I asked for the shade BEIGE.I thought this would suit me the best as it was the medium shade in the three available,neither very light nor very dark.Now I have been wearing this skin tint a couple of times weekly after it arrived and this shade absolutely suits my skin tone.Here is Sheer skin tint on my hand before and after blending. 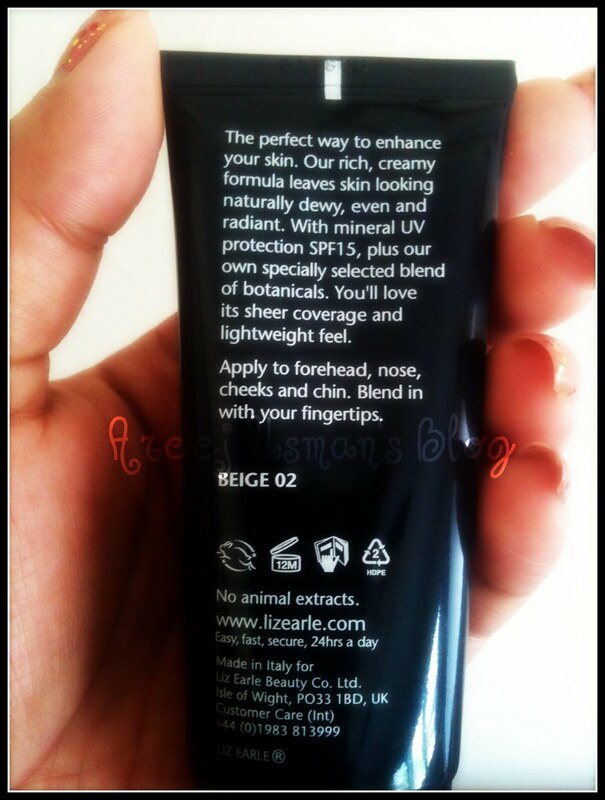 Though Liz Earle calls it a tinted moisturizer but I would rather define it as a light coverage foundation. 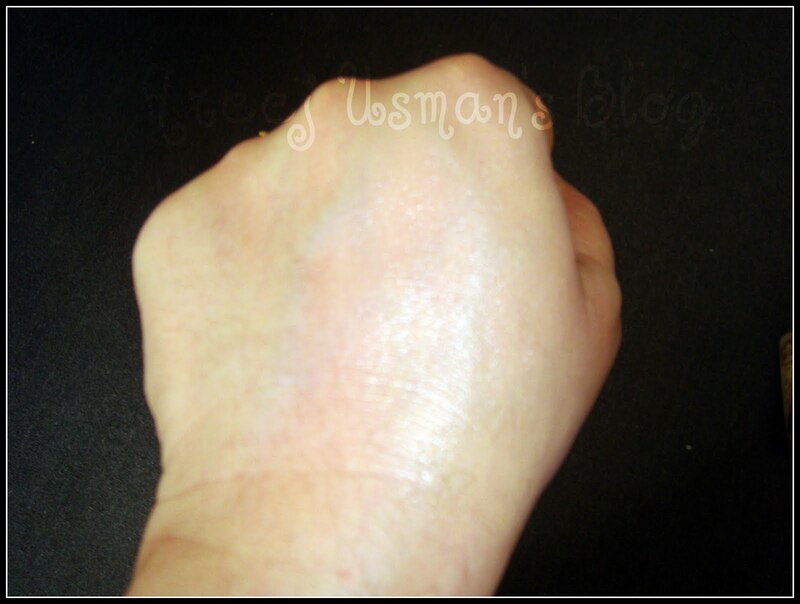 The consistency of the product is thick and looks like it will leave a heavy layer on the skin.But as soon as it is blended into the skin the thin and light coverage is visible.The feel is at once very light weight.It smoothes out the skin tone.I have worn this alone as a moisturizer and also with powder on top.If you are one who loves light coverage for everyday look this is the product for you.You can wear it alone or with a powder on top to set it for a longer duration of time.If worn alone it can last around 5 hours for oily skin types like me and if with powder around 7 hours maximum.I analysed at the end that for an oily skin type person it would be better to wear it along with powder. 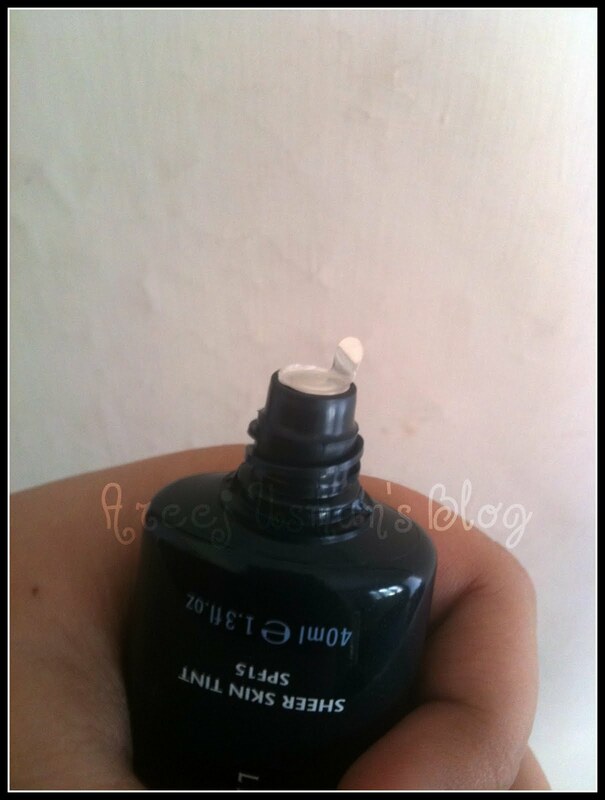 For persons with dry skin types this would give the perfect dewy glow that it promises to give.Though I see that glow on myself as well but as I am oily skin person I dont prefer it.I prefer a mattified look thats why I have paired it up with powder mostly. 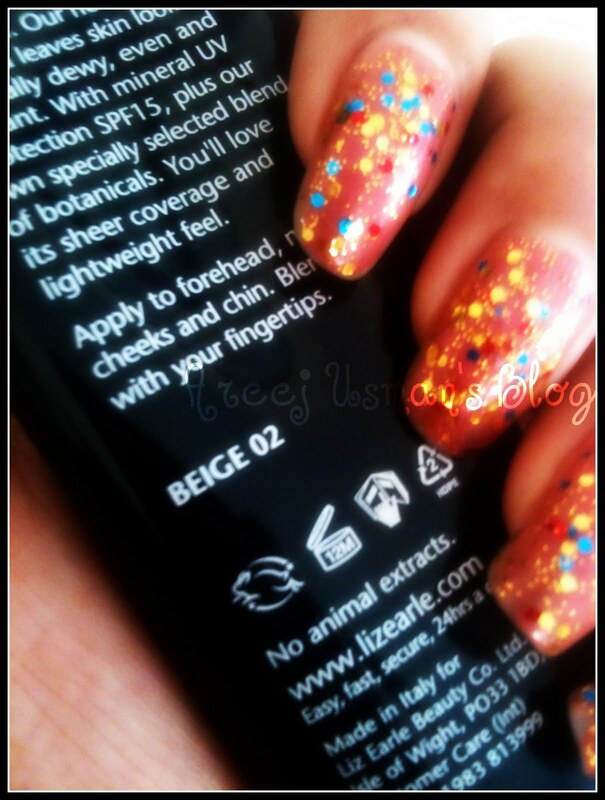 The details,instructions to use and the shade name are also mentioned on back of the tube. If you want a decent coverage with that glowy/dewy finish that is so IN these days then this might be the product for you.This is available for £21 for 40ml tube. For more details visit Liz Earle.You can also find them on Facebook & Twitter.For more of my reviews on Liz Earle products click Liz Earle in the labels at the end of the post. Any comments and questions are welcomed. All Liz Earle products get such rave reviews, don't they? Sadly I haven't tried any thing from this brand. I'd like to try this though. is it available in Pakistan? areej can you tell me about them?